Ah, Instagram. There isn’t much that hasn’t been said about the photo-sharing phenomena. When I think about it, it still surprises me how a simple app like Instagram achieved such am superior status, but even the greatest social-media hater can’t deny its power and allure. Being a tech blog, we haven’t exactly ignored Instagram either. We’ve already told you about sites that enhance your Instagram experience 6+ Sites That Enhance The Instagram Experience 6+ Sites That Enhance The Instagram Experience Read More , about stylish ways to bring Instagram to the Web 7 Stylish Ways To Bring Instagram To The Web When Mobile Is Not Enough 7 Stylish Ways To Bring Instagram To The Web When Mobile Is Not Enough Instagram's popularity calls for a way to use Instagram on the web, but an official way to do this still doesn’t exist. The lack of official solution brought about an abundance of unofficial means to... Read More and even about some super-duper Instagram alternatives Save for a Rainy Day: The Top 6 Instagram Alternatives You Really Should Try [Android & iOS] Save for a Rainy Day: The Top 6 Instagram Alternatives You Really Should Try [Android & iOS] Instagram has been in the news non-stop these past two weeks. It started with the launch of its much anticipated Android app, and continued with the subsequent acquisition by Facebook. Both moves created heated reactions... Read More for your iOS or Android device. What we’ve yet to summarize and test for you – perhaps the most important tech issue out there – is backup. You’ve put all that effort and time into your Instagram account, what would happen if it were all to just disappear? That would be heart shattering! Never thought of that before? Don’t fret. 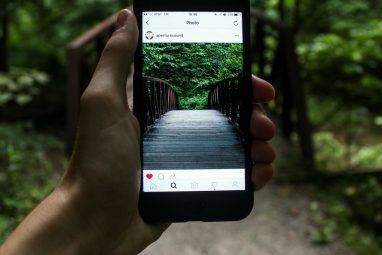 Below you’ll find a collection of effective Instagram backup tools for almost any platform. Most are free, some will cost you a measly $0.99. You don’t want to lose all your beautiful photos, do you? Pick your solution and start backing up! Instarchive is an Instagram backup tool that is part of Recollect. Recollect can backup and archive your entire online presence, and if you’re interested in backing up your Instagram comments, geotags, etc. on top of your photos, you should give it a try. But for now, let’s stick to Instarchive. Instarchive connects with your Instagram account (upon your authorization, of course) and creates a zip file of all the photos you’ve ever uploaded. You’ll see thumbnails of all your photos, and a big shiny button for the zip download. There’s no way to choose which photos to download – you must download them all – but hey, better safe than sorry, right? Read a full review of Instarchive. If you have no use for your actual photo files, but want to ensure your creations’ security, why not go for a stable service like Flickr? The simple and free FreeThePhotos migrates all your Instagram photos to Flickr in a matter of 2 clicks (well, maybe 4, but who’s counting), so in case Instagram’s (or is it Facebook’s now?) servers are victim to a nuclear attack, your photos will remain safe and sound on Flickr. To migrate your photos, all you have to do is log into your Instagram and Flickr accounts, and authorize FreeThePhotos to access them both. Then, with a push of a button, the migration will start, and you can set the service to email you when it’s done. It shouldn’t take too long to migrate, and when it is done, you’ll find all your photos, complete with descriptions and hashtags, sitting in your Flickr photostream in a folder called Instagram. Your photos are free now! Read a full review of FreeThePhotos. Instaport.me is another free and simple service for downloading your photos in a ZIP, but it comes with some added abilities such as filters and hashtags. With Instaport, you can either download all your photos, choose a number of recent photos, or choose photos you’ve taken between certain dates. You can also download photos other people have taken, such as photos you’ve liked or photos that have a certain hashtag. On my test, Instaport worked great, but when given a date range, it managed to cope only with the first of the two. For example, when asked to download all photos between July and October, Instaport included all photos between July and now. A small price to pay for easy and instant backup. All other options worked well, making this a solid option for the Instagram-worried. Read a full review of Instaport. Don’t feel like messing about with a Web app? Understood. 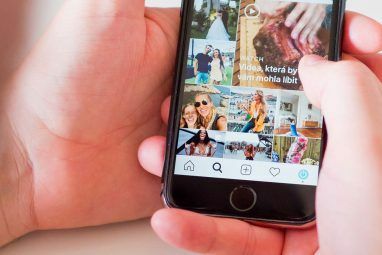 After all, Instagram lives on mobile, and a good backup solution must respect that. Instabackup will set you back 99¢, but will let you easily choose which of your photos you want to backup, and copy them onto your device for you. The interface is nice and simple: all you have to do is sign in to your Instagram account and choose which photos you want to back up. The backup process is quick, and Instabackup will let you know exactly how many photos you have in total, how many you chose to back up, and will highlight those you haven’t backed up yet. When the back up is done, you can enjoy your Instagram photos offline on your phone, and know they are safe from harm. Well, Instagram harm, anyway. 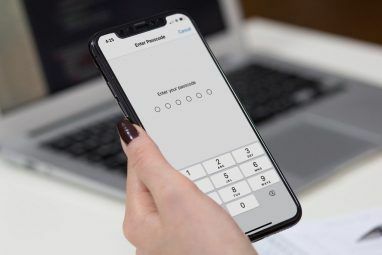 Grambacker is an app for iPhone, iPod Touch and iPad that will also set you back 99¢, but will to the job nicely if you just get over its little quirks. The first thing you need to remember is to grant the app access to location services when it first asks for it. If you don’t, the app will not work as it will not have access to your media. If you denied access on initial startup, you’ll have to manually grant it in Settings –> Restrictions. When that’s done, you’re ready to roll. 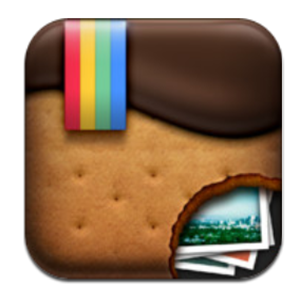 Grambacker can back up your Instagram photos to your device’s camera roll and to your Dropbox account. After signing in and granting access to all involved accounts, you can start the backup process. In the settings, you can control where you want to backup your photos to. If you start the backup process and it’s very slow or gets stuck, try backing up to camera roll and Dropbox separately, this solved it for me. This way you can have your precious photos on your device itself, and also backed up in your Dropbox account, which never hurts. Have you backed up your Instagram photos yet? What are you waiting for? The longest you’re going to spend on it is 5 minutes, and the peace of mind it can buy you is worth its weight in gold (at least $2 of it). Do you want to download your photos from more places? Here are some quick and easy ways to download photos from Facebook, Flickr, Google+ and others Quick, Easy Ways To Download Photos From Facebook, Flickr, Instagram, Google+ & More Quick, Easy Ways To Download Photos From Facebook, Flickr, Instagram, Google+ & More With the amount of information we post online, we're putting an awful lot of faith in third party services to keep our content and photos safe. Between Facebook, Flickr, Instagram and Google+, there's no limit... Read More . How do you back up your online photos? Do you even bother, or is it not worth the effort? Tell us in the comments. Explore more about: Data Backup, Instagram, Photo Sharing. I've been using an ifttt formula to save all my Instagram photos instantly to my Dropbox account. But I do use Instaport.me to save my Instagram photos to my external HDD back up. Thanks for letting me know about FreeThePhotos, though! I needed a way to do that so I could finally start using Flickr without starting over! IFTTT is a good way to go, thanks for mentioning it! Sent legal take down notice to Instagram, remove all photos. delete all files associated with our account due to their TOS. As a business owner we cannot agree to their TOS. Reply received last Wednesday, request was processed and adhered to.